The Military Wives Choir ~ Following the highly successful television programme, the Shorncliffe Military Wives Choir have sung at many different types of function, and could be that ‘something different’ for your Garden Party or very special event. The fee would be expenses and a donation to the choir. Sue Kennett ~ A fine vocal entertainer, Sue has a wonderfully warm personality and the brightest of smiles. She will sing selections from musicals including ‘My Fair Lady’, a bit of Gershwin and a few reminders of the fifties and sixties. Be carried away on the wings of song. Jonathan Stevens ~ To the accompaniment of his acoustic guitar, Jonathan will serenade you with songs from the 30’s right up to the 80’s and even the 90’s. With this hugely popular and very personable entertainer, you can sing, dance, listen or have a party! Whichever, you are assured of a good time. Mary King ~ This thoroughly enjoyable entertainer’s range of songs is a joy to behold. ‘Won’t You Come Home, Bill Bailey?’ and ‘I Want to go to Heaven for the Weekend’ are just two of her favourites – you’ll love all the others too. From Music Hall to Dusty Springfield and Cilla Black, Mary simply sparkles! Ric King ~ With your enjoyment in mind, Ric and his keyboard provide a fantastic evening of dance and song to cater for any age. If you want to make it a party, make it go with a swing! You can’t do better than Ric King - he’s even played in the Queen Vic in Eastenders! “Bill’n’Ricky” ~ A cheerful cockney duo ready to regale you with a bit of Chas and Dave, a bit of Lonnie Donegan, a bit of a knees-up and a bit of a sing-song. Whether it’s for that special ‘Cockney Ding-Dong Evening’ or for a one- hour afternoon entertainment, you’ll enjoy a bit of the East End as it used to be. Scott Elvis ~ Recalling Elvis ‘The King’ in his army years, Scott gives a warm reminder of, probably, the world’s most famous entertainer. Sing along, dance along, or just listen and watch as Scott recalls the songs we love and remember so well. Put your glad rags on and have ‘An Elvis Night’. Jimmy O’Brien ~ Master of the keyboard, Jimmy is an absolute must for a singalong, tea dance, party, or as background music for a dinner. Want that something special? Jimmy’s four piece band, ‘Jimmy O’Four’ will make your event go with a swing. The Fabulous Fifties ~ A trip back to the years when we were just a bit younger - stars were stars, songs were songs and entertainment entertained. Mary King, Tony Arnold and Mickie Driver recall the years of Johnny Ray, Eve Boswell, Lita Roza, Elvis, Lonnie Donegan, and many more. Andante ~ Huge favourites aboard cruise liners, Vee and Mark are a truly top-line multi-instrumental act. Performing with up to 25 instruments including banjo, flute, ukulele, zither, xylophone, accordion and even a musical saw, this is entertainment at its very best. By the way, they sing too! Patsy Peters ~ An Irish colleen offering a wonderful range of songs from good old Music Hall to modern ballads and Country & Western – or why not have a complete C&W show? YEEEE-HAAAA! Patsy’s own brand of humour adds a touch of spice to a smashing show. Ritchie Richardson ~ Swing back to the sixties with Ritchie, his Hawaiian shirt, guitar and sunglasses! Buddy Holly and Elvis are amongst the many pop and rock ’n’ roll stars recalled in this super show. Singing, dancing or listening, you’re bound to enjoy it. Tim Ames ~ A favourite entertainer aboard the cruise liners and hotels in the Mediterranean, Tim has decided to brave our British winter and work at home for a while. With songs from Matt Monro, Tony Bennett, Fran Sinatra, Neil Diamond and many more, this is an act that is sure to please. Taryn Kay ~ This delightful young lady has available an enviable range of songs – sixties, Shirley Bassey, Ivor Novello and lots of singalong. She even drops in one or two jokes for good measure. Taryn works with a sparkle and a smile, so why not let her sparkle for you? Janet Beale ~ A delightful and talented young lady, Janet entertains at the keyboard or piano accordion and even plays saxophone and flute (but not at the same time!). A superb accompanist, Janet can play for your show or provide wonderful background music for dinners or garden parties. Linda Watts ~ Stunning to the eye and beautiful to the ear, Linda Watts takes you on a delightful journey through Music Hall, Variety and the wonderful world of Musicals - all without leaving your seat. There’s even a visit from Flanagan and Allen. A very popular act you’ll remember for a long time. Graham Hunter ~ A regular and favourite entertainer aboard the Canberra, this young man tailors his act to suit his audience. Graham’s easy and melodic vocal style ranges from Music Hall and musicals to the sixties and the present day. Add to this a touch of comedy, and you won’t want to miss him. Lynda Styan ~ Bringing back the charm and style of the 20’s and 30’s and even up to the 70’s, Lynda sings to her own accompaniment on the ukulele. Enjoy “Keep Young and Beautiful”, “Wild About Harry” and oh, so many more offerings from this talented young lady. DON’T KNOW WHAT TO BUY FOR A GIFT? Earl Grey ~ One of the stars of our “Seeing Stars” show, Earl is a highly sought-after and very unusual entertainer. His impressions are great fun and incredibly accurate, whether its Judy Garland, Bette Davis, Vivienne Leigh in ‘Gone With the Wind’ or any one of the Coronation Street ladies. Amazing! Claudia Keston ~ A bouncing and energetic young blonde, Claudia has recently completed a contract to entertain aboard cruise liners. Her show is packed with songs from the shows, ballads, and up-tempo favourites. Whatever your taste, there’s something here to suit you – have a wonderful time! Maddi Black ~ A delightful and talented young lady, Maddi has, over the last seven years, performed in cabaret and musicals in London, Malaysia, China and Australia. Pop songs, standards and songs from the musicals are all in Maddi’s repertoire and, to add to the delight, she includes a bit of Kylie Minogue. The Orange Pips ~ A first class Trad Jazz Band that is always in demand. Any requests? The Orange Pips will be delighted to play them. Arrayed in their colourful waistcoats and bowler hats they will put sparkle into a garden party or any special event. Stevie Permutt ~ Not a fella, but a charming, blonde young lady! Stevie started singing at the age of three and hasn’t stopped since, performing in musicals, variety shows, television, and most importantly, bringing up a family. Pop songs, ballads, standards, and songs from the musicals are all in Stevie’s show. Julia Sutton ~ Star of the Players Theatre, Julia portrayed Florrie Forde in the West End production of the Flanagan and Allen story. Equally famous for her ‘Marie Lloyd’, Julia’s stunning costumes are only outshone by her talent, and we are delighted that she has been nominated for a 2010 Olivier Award. Paul Coleman ~ A wonderful entertainer at the keyboard, Paul takes you on a musical trip of your very own choice. Music Hall, Musicals, the 20’s, 30’s, 40’s, 50’s, 60’s, a bit of Elvis – all the way up to the present day. If you’re having a party, you can’t go wrong with Paul Coleman. Mike Marandi ~ Born in Cyprus, Mike is a highly sought after young entertainer. From love songs to the ‘bumps and grinds’ of Tom Jones, we guarantee a magical hour of entertainment. You’ll probably want to take him home to keep, but sorry, you can’t. Franz Black ~ A talented and enthusiastic keyboard and vocal entertainer, Franz has a repertoire encompassing Elvis, The Beatles, Latin American, Spanish, Easy Listening, Sixties, Seventies… just about anything you could wish for. Want to dance? Franz is your man. The Swingtime Sweethearts ~ Annie and Le’arna found they shared a love of 1940s music, so, in 2007, they combined their talents. Resplendent in Air Force uniforms, they recall songs of Anne Shelton, The Andrews Sisters and many others including Dame Vera Lynn, with whom they recently recorded a CD. Gary O’Connor ~ Like songs of the 50s & 60s? You’ll love Gary’s show. Elvis, Cliff, Buddy Holly and Billy Fury songs are intertwined with a bit of C&W, some nice ballads and one or two more modern numbers. Gary’s passion for music shines through the performance, and he’s fun, too. Annie Riley ~ As well as being a ‘Sweetheart’ Annie is an experienced and superb solo entertainer. In addition to songs from the 40’s, you can sing and dance along to songs from the 50’s, 60’s and 70’s – Annie’s bubbly personality and super voice give you a show to remember with pleasure for a long time. Pearly Busker ~ Mickie Driver, in full Pearly array, will busk at your garden party, fundraising event etc with Daisy Bell - a superb hand-made barrel organ. Cardboard books of music make their way through the instrument to produce a fascinating and joyful sound – the sound our Victorian ancestors listened to. Jackie Simmonds ~ A member of the prestigious, much loved and still working Tiller Girls, Jackie’s talk gives a fascinating look into showbusiness life. You have seen her many times before – she posed between the two Ls of ‘PALLADIUM’ on that famous revolving stage on Sunday evenings. Barry Daniels ~ An entertainer of considerable style, Barry presents a varied programme of show songs interspersed with splendid impressions of the great Hollywood stars - James Mason, Maurice Chevalier and a whole host more - all with a touch of good, clean humour. A most enjoyable act. Anita Elias ~ Our very own ‘Little Miss Music Hall’ takes you back to the Good Old Days when Marie Lloyd, G H Elliott and Florrie Forde were stars amongst the firmament of entertainment. A trip back to the 1940’s is also available. You just can’t help joining in and enjoying Anita’s show. Nichola Pope ~ A wonderfully talented musician, Nichola presents an entertaining and interesting blend of melody from standards you’ll love to sing along with, musicals, and hits from the thirties, forties and fifties – all performed on a saxophone with the addition of superb musical backing tracks. Paul James ~ A regular Saturday & Sunday favourite on BBC Radio Kent, Paul is a much loved comedian who leaves a trail of laughter wherever he goes. Before you know what’s happened, you’ve had an hysterical hour and Paul sings ‘I’ll See You In My Dreams’ to the accompaniment of his ukulele. John Maxim ~ A multi-talented musician and vocal entertainer, John will delight you with tunes on the trumpet (including Nat Gonella’s ‘Georgia’, beautifully sung, too,) the harmonica, post horn, a singalong with the Melodica and even a bit of balloon modelling. Wow! We’re here to help – just ask. Jayne Sullivan ~ A superb vocal entertainer with varying styles from Country & Western to Music Hall to the 40’s and even operetta. Jayne also gives a wonderful rendition of Nessun Dorma. Her tribute to Dame Vera Lynn is a high point of the act – don’t miss it. Julia Burnett ~ Immaculately top-hatted, white-gloved and tailed, Julia takes you back to the good old days of The Empire, The Tivoli and The Oxford working in the style of the old male impersonators. Pure nostalgia, well delivered. Nick Putz ~ Preserving the skills of the circus performers, Nick’s fire-eating abilities are astounding. Having a garden party? He will be a huge attraction, welcoming your guests as the stilt-walking MC. With his juggling too, is there no end to his talents? Jackie Marks ~ Following some fantastic work in musicals (including the lead in ‘Les Miserables’ in the West End) Jackie took time off to marry and have two bouncing baby boys. Now she’s back in the swing and a fabulous entertainer – don’t miss Jackie Marks. David & Pauline Conway ~ Their wonderful harmonica act has taken David & Pauline all around the world. Combined with singalong and comedy, their playing is glamorous, exciting and fun. For something a bit different you couldn’t do better than this talented, friendly couple. Mark Walsh ~ A hugely talented and likeable young man, Mark’s idol since childhood has been the one and only George Formby. He now emulates his idol with huge success – he also includes ‘maestro’ ukulele playing in the style of Billy ‘Uke’ Scott. This act is sheer joy! David Baker ~ Make your special occasion even more special with a professional toastmaster. When David dons his red tailcoat, you know you’re in capable hands. One of Britain’s very select band of professional Town Criers too, he’s a bit of Old England. Victoria Yellop ~ A beautiful and talented young lady, Victoria plays violin with skill, charm and a wonderful twinkle in the eye. Music to listen to, music to sing along with, or music to tap your feet to – you’ll find the time has whizzed by and you’ve had a fabulous time. Don’t miss this one! The Hula Bluebirds ~ Something different? Why not a Hawaiian evening to the accompaniment of our ‘Stowaways in Paradise’? Let our Tropical Trio transport you to a land where the palm trees wave, the blue seas lap on a sandy shore and life is beautiful. 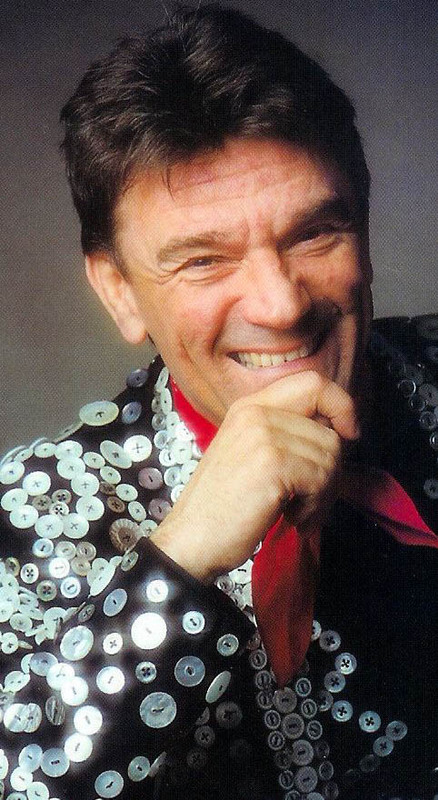 David Carter ~ Musical Director for the late, legendary Danny La Rue, David is a virtuoso of the keyboard, a master of the singalong medley and a cert to get a party going!. Got any favourite songs you haven’t heard for years? Sit back – David will be delighted to play them for you . This is service with a smile! William Smith ~ ‘A little bit Country and a little bit Rock ‘n’ Roll’ along with Irish songs, Ballads and, indeed, music to suit any occasion. Also available as a duo or a trio should you have a special party or dance. This entertainer comes highly recommended. Mike Thomson ~ A virtuoso and entertaining pianist, Mike’s act includes a tribute to his friend and colleague Russ Conway with “Side Saddle”, “China Tea” and many others. You want piano playing? Mike does it! The only requirement is a good and ‘in tune’ piano. Katie Milton – A beautiful voice and a warm and charming personality make Katie the sort of entertainer we know you will enjoy. Songs from the shows, standards you remember with great affection and even a few Ivor Novello memories will leave you with a contented smile of satisfaction. Jeff Wayne ~ With a twinkle in his Irish eyes, Jeff will intersperse songs from the shows with impressions of Jolson, Bing, Nat ‘King’ Cole and Max Bygraves. A bit of comedy and, of course, ‘Danny Boy’ and ‘Kathleen’ will complete a splendid show. Kay Carman ~ A delightful lady and a joy to watch and listen to, Kay adds bubble and personality to songs from the Shows, Ivor Novello, Gracie Fields, Vera Lynn and lots and lots of others. She creates a real party atmosphere. With Howard Leyton at the keyboard, you’re in for a super show! Steve Galler ~ A favourite performer on the cruise liners Steve, along with his banjo, gives you songs from the fifties and the sixties and reminiscences of the singers of the era too. Songs, laughs and music combine to make Steve’s performance one you’ll remember with a warm smile! Lloyd Ellery ~ This talented and likeable young man has worked on cruise ships, toured in the USA and appeared in several musical shows including Riverdance. His act includes favourite songs from the 40s, 50s and 60s as well as songs from the shows and iconic songs from the Big Band era. David Karl ~ A wide and varied selection of songs made famous by a wide and varied selection of stars is offered by this very talented young man – from Shirley Bassey to Neil Diamond and lots more between. Having appeared in many West End shows, he can include songs from the musicals too. Peter White ~ In his presentation ‘The Gramophone That Went To War’ Peter speaks of and demonstrates wind-up gramophones in use between 1914 and 1918. He plays a selection of old 78rpm discs on the original machines. As it is an acoustic sound, a maximum audience of 50 is advised. Fascinating! Adeste ~ Multi instrumentalists Janet Beale and Francis MacNamara create a range of music from ‘Spanish Eyes’ to ‘The Blue Danube’ to ‘Blueberry Hill’ on an incredible number of instruments including accordion, saxophone, flute, violin… the list goes on. They give a thoroughly enjoyable performance.